Carolina Outfitter's website may provide links or other access to other sites that allow you to access material provided by third parties. By using this access, you will be entering or linking to a third party's site that may offer privacy and security practices different from Carolina Outfitters. 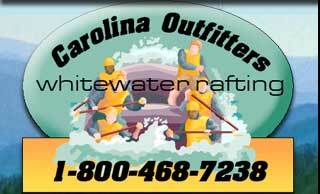 Carolina Outfitters does not offer, endorse or guarantee, and assumes no liability for the accuracy, appropriateness or usefulness of, any products or services of any such third party. The third party is responsible for its site contents, privacy and security practices, and system availability.